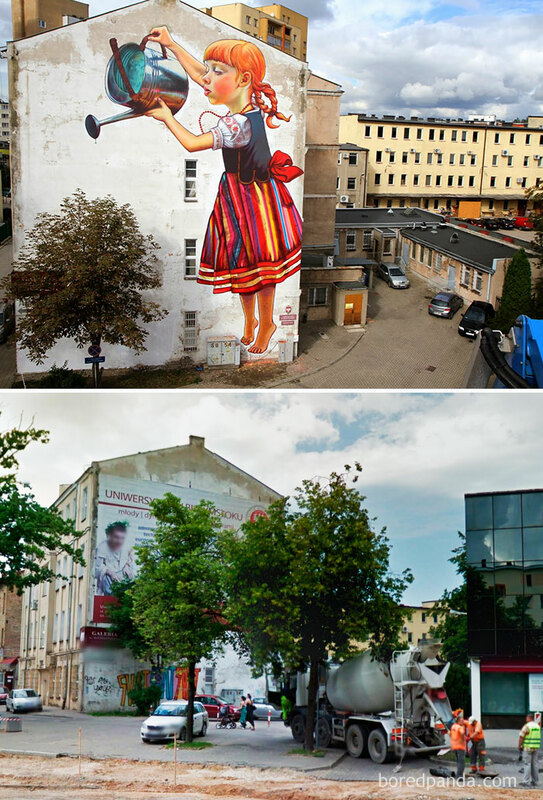 Look around you. 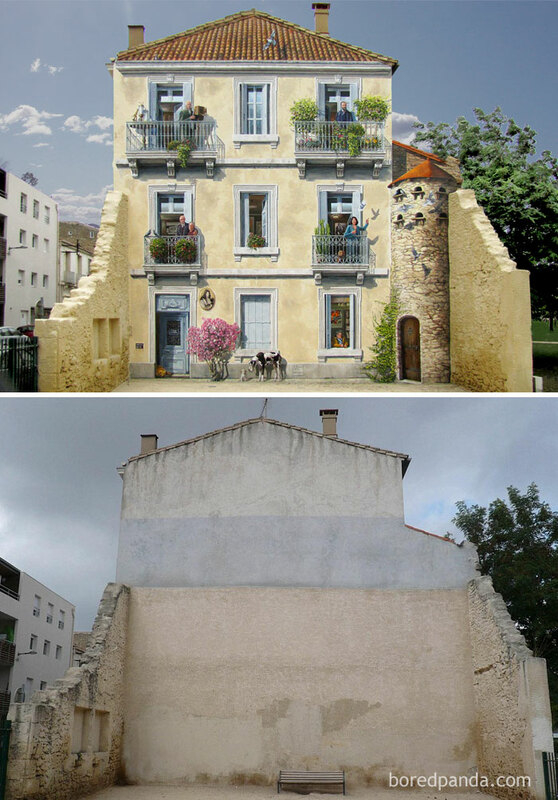 The world is full of empty canvases. 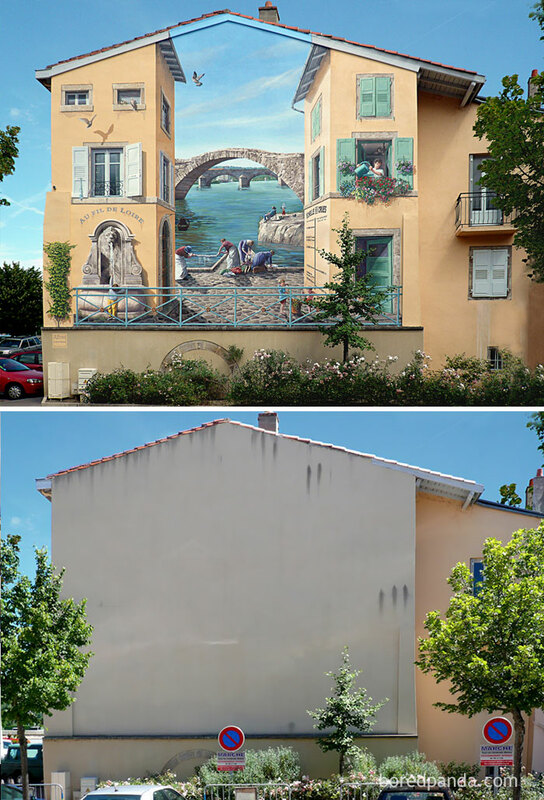 Everywhere you turn are empty walls where beautiful pieces of art could be, but often these spaces are overlooked in favor of boring blank nothingness. 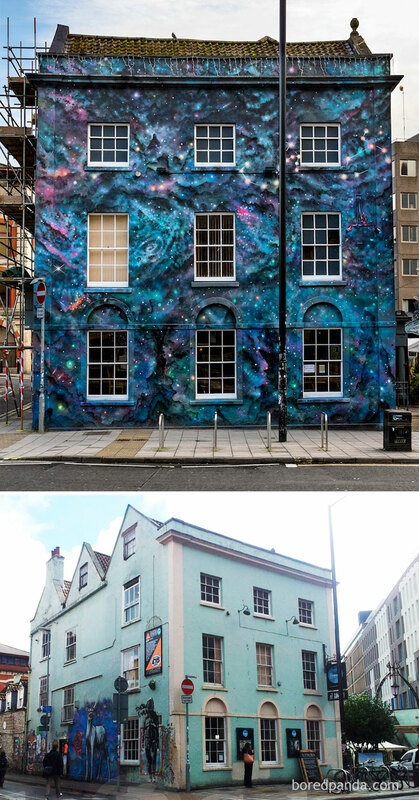 But fortunately for us there are artists out there who are determined to transform our world into the vibrant public art gallery that it deserves to be. 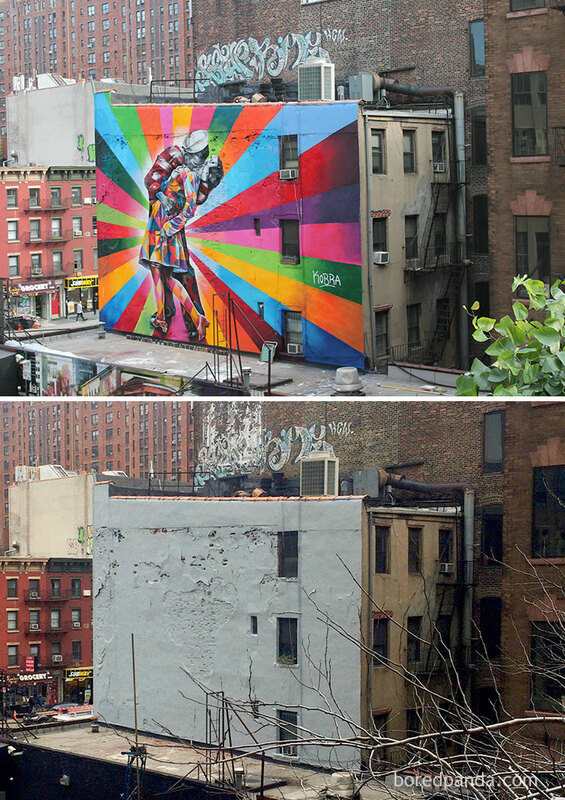 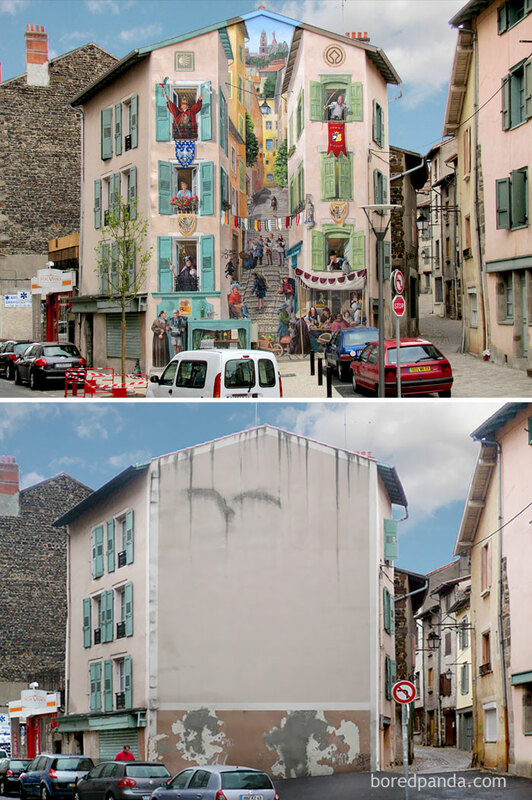 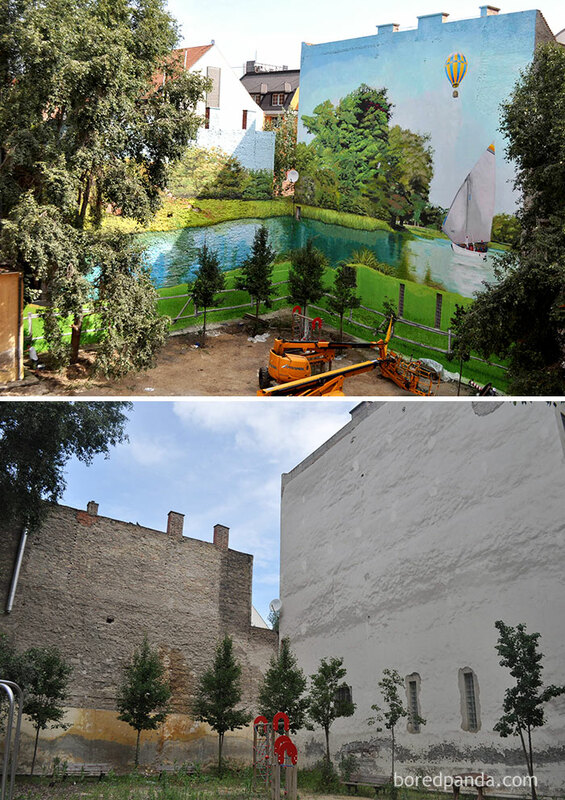 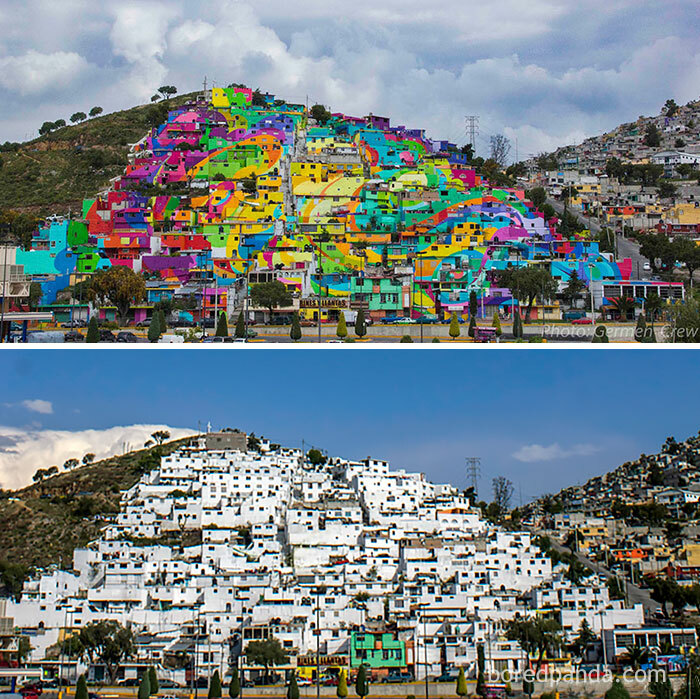 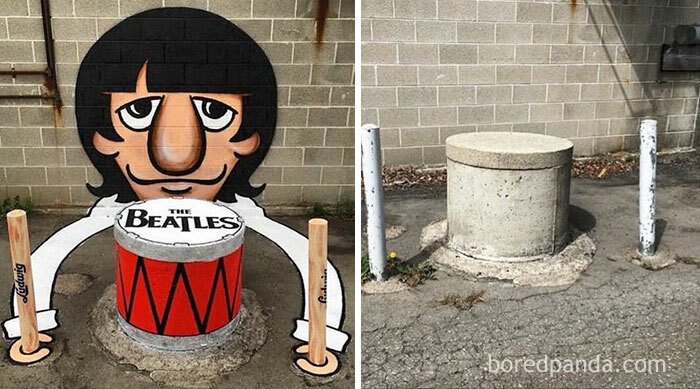 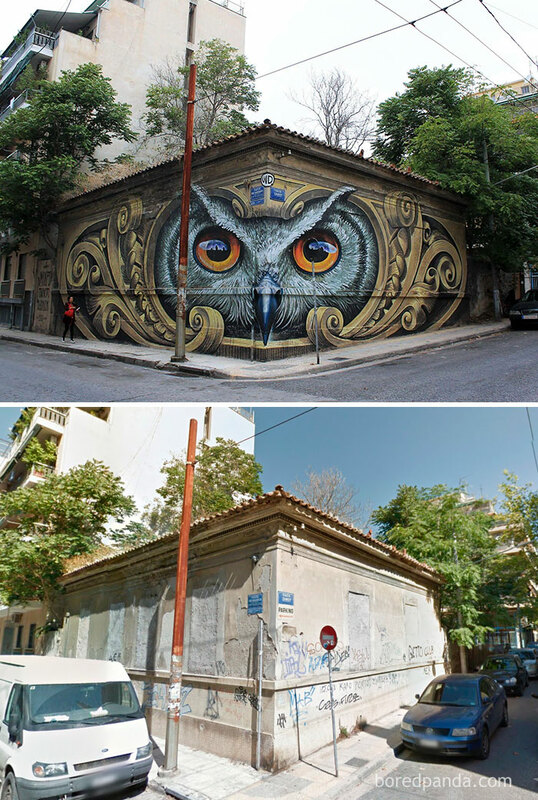 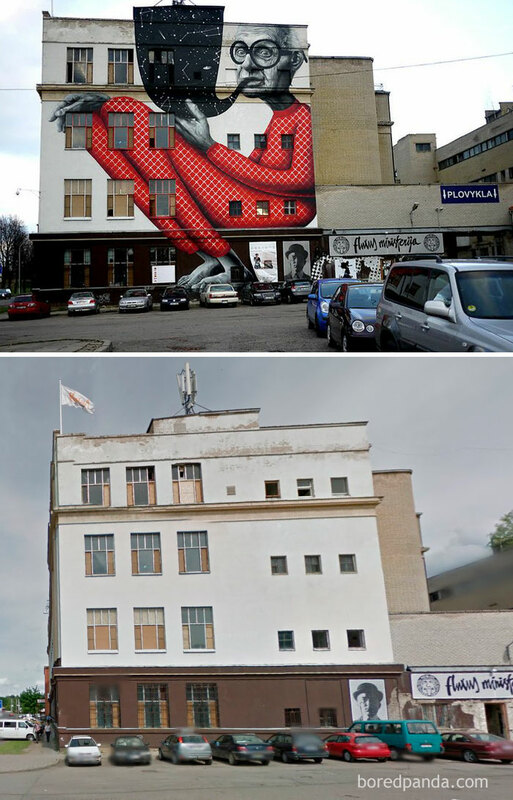 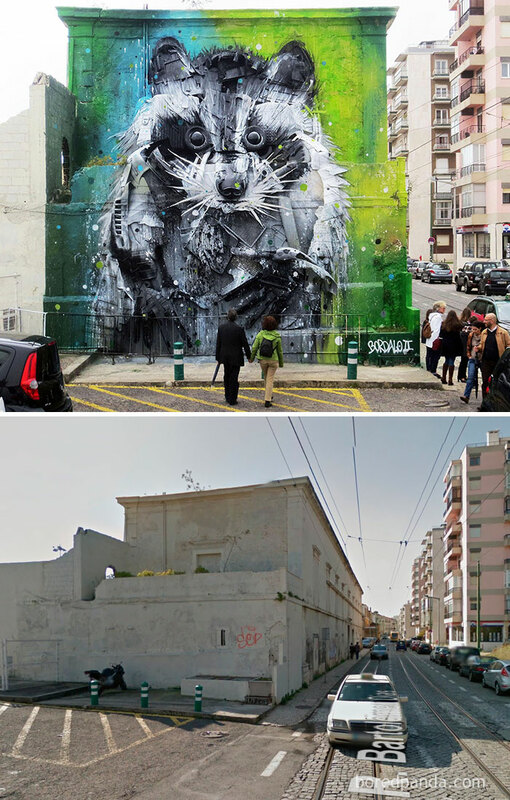 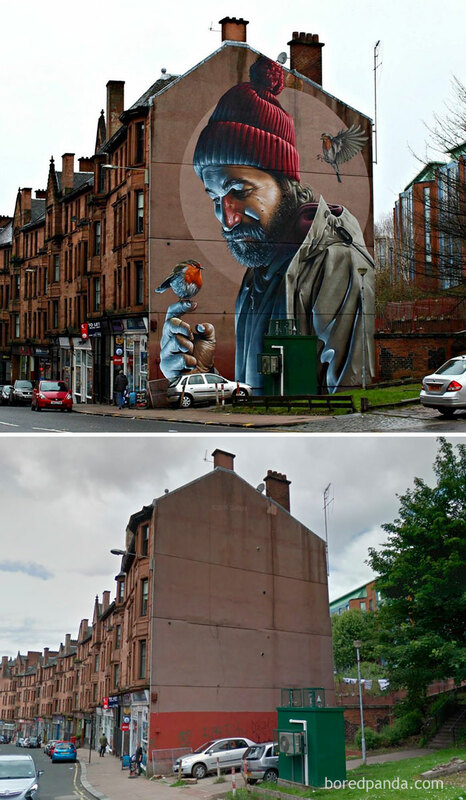 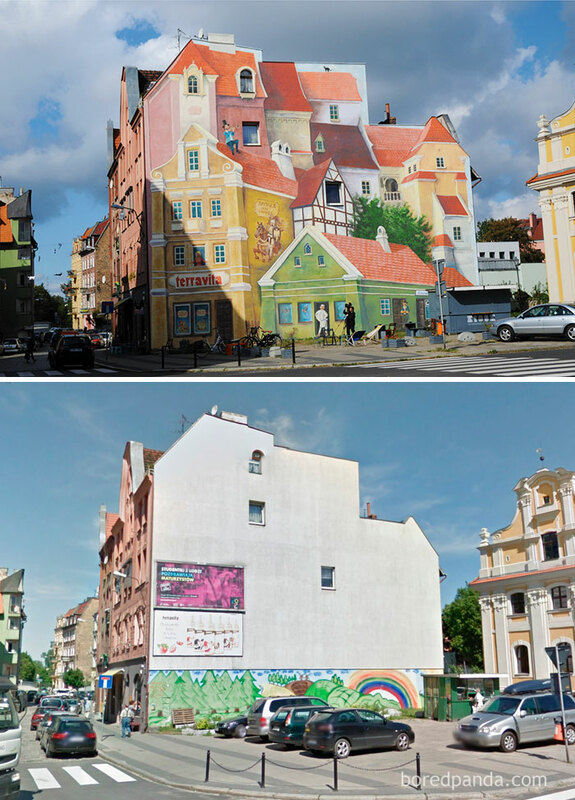 Take a look at these before and after pictures of spectacular street art to see what we mean. 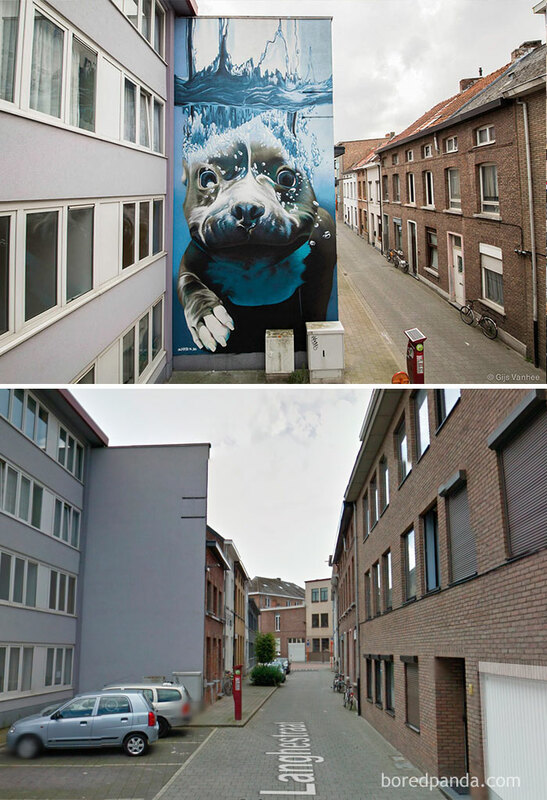 Compiled by Bored Panda, the gallery below serves to remind us of what our towns and cities could look like if only we used our imagination. 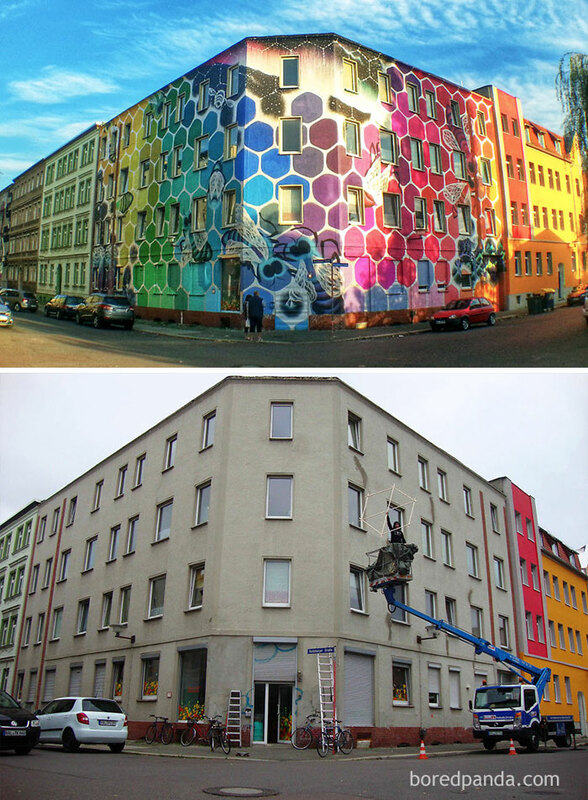 Don’t forget to vote for the best!